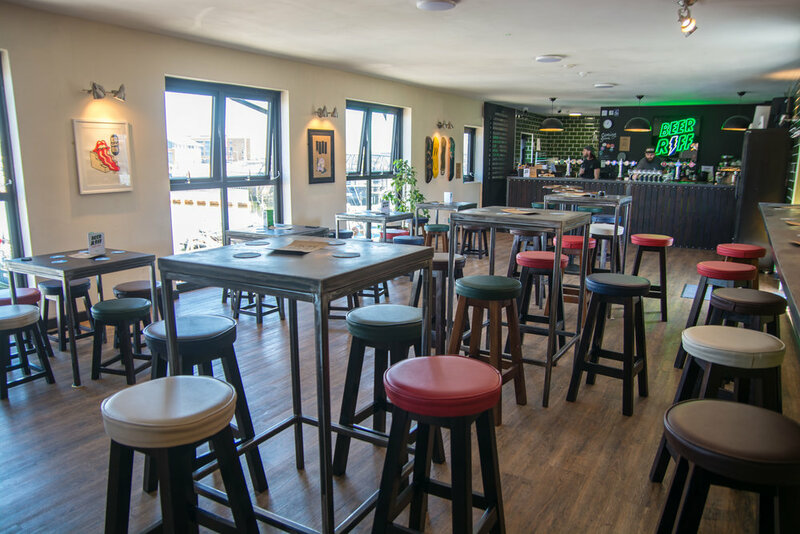 Our taproom is situated on top of our brewery looking out over Swansea marina. We have 15 taps serving our beers that we brew on site and the best beers we can source from around the world. Our taps are continually changing there is always something new to try. Plus our fridges are stocked with even more incredible beers. 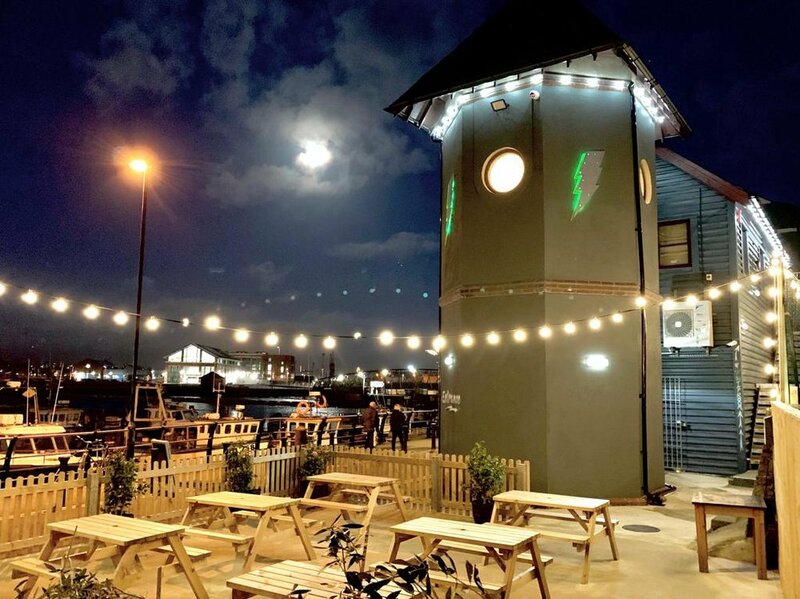 And when the sun is shining you can enjoy a beer or two in our waterside beer garden. We also serve a range of bar snacks from pizza, to olives and mixed nuts, with vegan and gluten free options available.